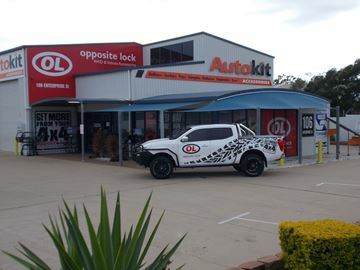 Since 1953, Dobinsons have been manufacturing suspension products in Australia. 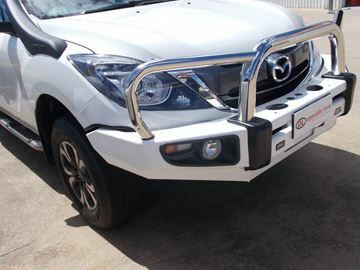 Dobinson also have a complete range of four-wheel drive accessories including steel bullbars. 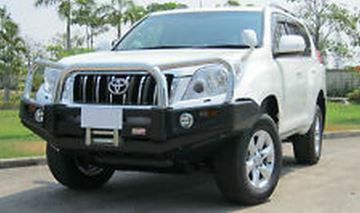 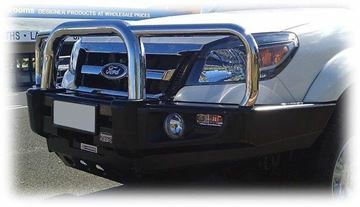 Steel bullbars are great way to keep the front of your vehicle protected from any unpredictable accidents. 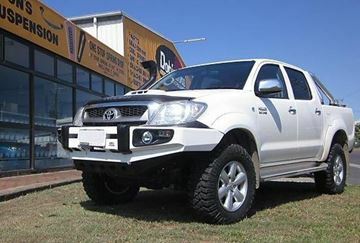 Browse the products below or contact us for more information. 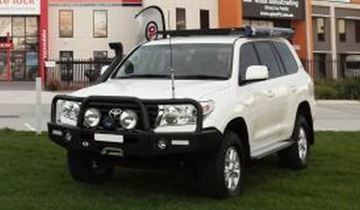 Dobinsons Stainless deluxe steel winch bullbar to suit 200 series landcruiser wagon is a great compromise between a Standard Alloy Bullbar and a Polished Alloy. 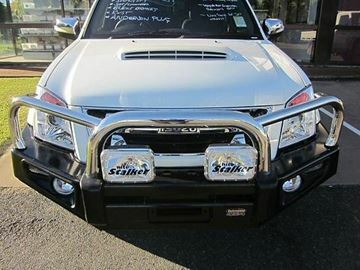 This Bullbar is ADR compliant, airbag compatible and winch compatible. 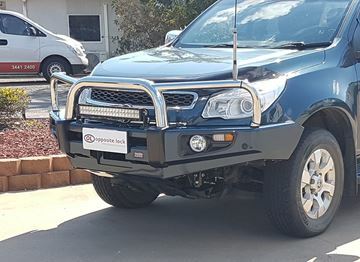 2013 Holden Colorado Dobinsons black steel winch compatable bullbar supplied and fitted with a 9500 pound winch. 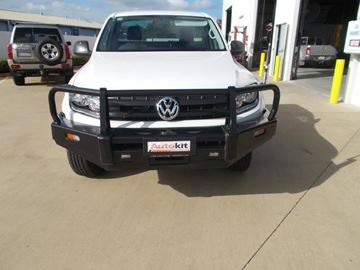 Call for a quote today, protect your investment.! 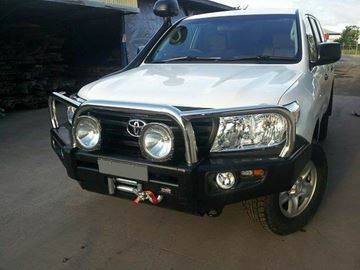 winch compatable, good looking, call for a quote today! 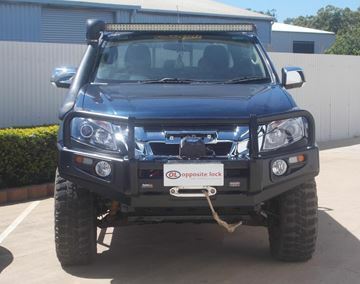 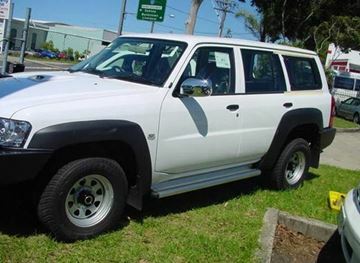 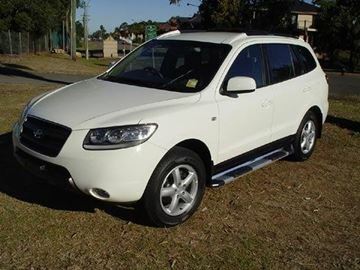 Welcome to Autokit 4x4 accessories Bundaberg, the 4x4 accessory store that you will be pleasantly suprised when you walk in the door or visit us on the website here. 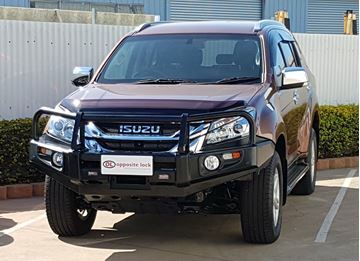 We are a locally owned and operated company specializing in Dobinsons 4X4 Accessories, a world class product with a well known reputation at a realistic price,also offering you a brilliant range in the products that we stock instore.